Nick leads Fiberight’s UK activities, as well as being responsible for the company’s global R&D programme and the operation of Fiberight’s demonstration facility in the US. He oversaw the design and scale-up of this plant and in more recent years has led many process optimisation activities, including public funded projects for Innovate UK, the UK’s innovation agency. Prior to Fiberight Nick held a number of senior technical, commercial and operational positions including Managing Director of Excel Industries and Chemical Operations Director at Kronospan. 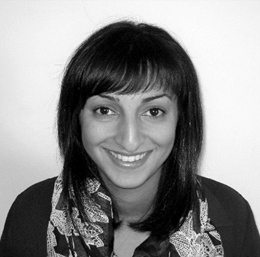 Dhivya leads a portfolio of R&D projects and activities at Fiberight, including Innovate UK funded projects and work with leading universities. She is also responsible for managing Fiberight’s Intellectual Property and a small-scale pilot facility at the University of Southampton. Prior to joining Fiberight Dhivya held R&D roles in academia and the sugar industry. Dhivya graduated from the University of Melbourne, Australia with a Masters of Chemical Engineering and Bachelor of Science (Genetics major). Dhivya retains a visiting researcher status at the University of Southampton, UK where she obtained her PhD and is actively involved in public engagement and outreach activities.